Make Payment Processing a Snap! Less data entry – donor information is automatically filled in and credit card payment data is included in gift history. Immediate validation of card data allows any issues (declines, etc.) to be resolved quickly and immediately. Integrated process eliminates challenges of reconciling credit card statements with donation records. Secure encryption protects confidential donor data. Studies suggest people spend up to 20% more with a credit card than other forms of payment. Guaranteed and automatic fulfillment of phone and other pledges. Receive money faster - funds are usually deposited within 24 hours. Saves time and money on fund collection – no checks to process. Eliminates bounced, delayed, or errors with checks. Simply collect a donor’s credit card information from any type of solicitation (phone call, email, direct mail, etc.). Go to the Gift entry screen for that donor’s record and click the Insta-Charge button next to the Gift Amount field. Enter the credit information, and click submit. 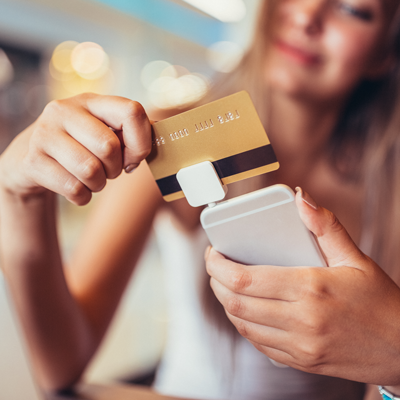 You'll receive instant notification regarding card acceptance or decline (including why the card was declined, which you can share with the donor). A gift entry will automatically be made in the donor’s record for acknowledgement (thank you letter, etc.). Any credit or debit card that is affiliated with MasterCard and Visa. American Express, Discover, Diner’s Club and JCB can also be processed once you establish a merchant account with them. Can I use my existing credit card merchant account? We have integrated and partnered with a leading credit card processor to provide the necessary online merchant account. Integrating with other processor merchant accounts is possible, but generally cost-prohibitive. Note that the funds collected can be deposited automatically into your existing bank account. The service operates on a secure server and complies with Visa/MasterCard regulations for real-time, secure credit card processing. Also provides forms for data collection as well as e-commerce "shopping cart"
NO EXTRA SOFTWARE OR SUPPORT FEES! You'll just need to complete a Merchant Agreement, which provides complete details on all credit card processing fees. Call (800) 848-3279 for a demonstration of Insta-Charge and answers to all your questions.